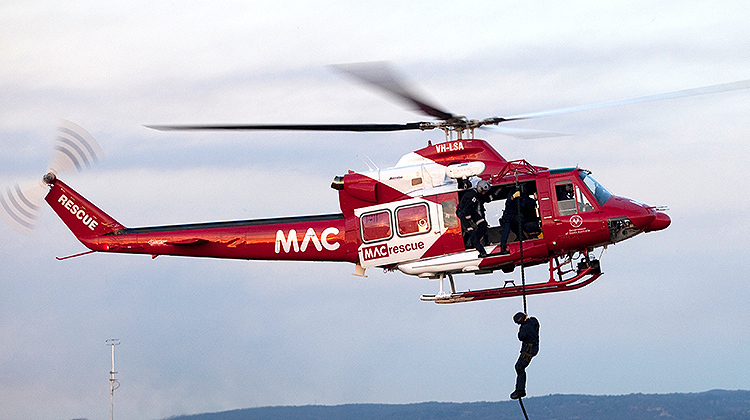 Australian Helicopters has been awarded a three-year contract extension to continue operating South Australia’s State Rescue Helicopter Service (SRHS) shared by the state’s ambulance, police and fire services. “Australian Helicopters has successfully delivered a reliable rescue helicopter operation for the South Australian community for over 10 years and we are extremely pleased to be able to continue our work here,” said John Boag, managing director of Australian Helicopters. Operating the SRHS from its purpose-built facility at Adelaide Airport, the contract extension will see Australian Helicopters upgrade the avionics in its existing EC130 and Bell 412 and configure them for the installation of a new FLIR imaging system. The services’ BK117 will also be replaced with another Bell 412 during the first half of 2016. The SA government has also extended its existing agreement with the Motor Accident Commission for its sponsorship of the SRHS. They should replace their fleet with AW139s that’s what everyone else is doing. VIC Government and NSW Governments with their Ambulance/rescue contracts and the QLD government with EMQ and QLD RACQ Careflight Rescue all are either operating or converting the fleet to AW139s also I’ll point out that the VIC contract is with the same company as the SA contract wouldn’t it make it cheaper for the company to buy more AW139s to replace the fleet and increase capabilities?